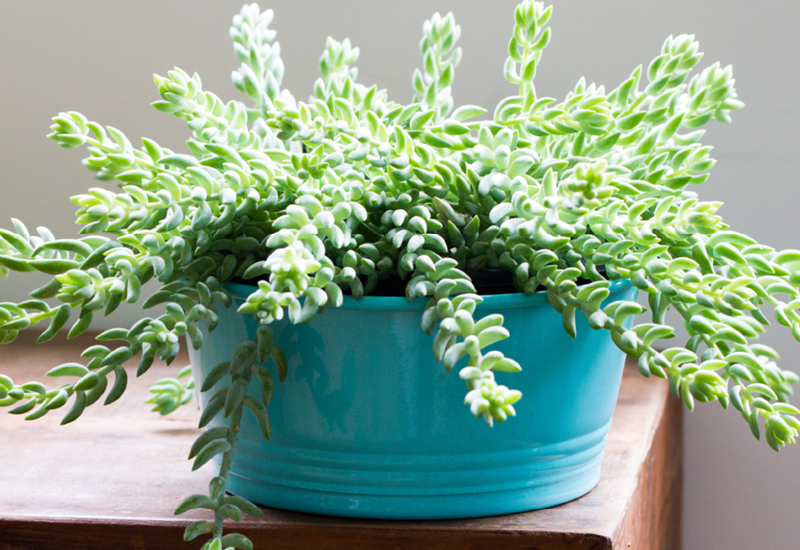 Sedum Donkey Tail is one of our absolute favourites for it’s unique, bluish green, rope-like stems. Plant this one in a tall pot or hanging basket and enjoy the chunky leaves flowing down. Sure to be a talking point in your home or garden!